Log into Elizbabeth's page on Tirgearr Publishing for an excerpt. Tirgearr Publishing announces a new ebook, The Cycles Turn, by author David Toft. This digital book (ebook) is unique in that the author has digitally autographed it. Ebooks suffer a disadvantage compared to traditional print books in that the author cannot sign them. A couple of systems exist to try and replicate the experience of a traditionally signed book, but none manage to actually sign the ebook itself. Most are the equivalent to signing a photograph and emailing that to the purchaser. Tirgearr Publishing has adopted a technology that allows the ebook to be signed by the author. The signature appears in the book, just like a traditionally signed book. 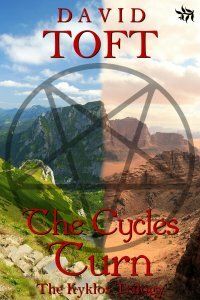 The Cycles Turn is David Toft's seventh book and the first in the Kyklos Trilogy. This is a fantasy/occult novel set in England and Ireland, and between the modern world and alternate worlds full of witches, demons, and dragons. Tirgearr Publishing will be offering this edition of The Cycles Turn as a limited edition collectable. The discovery of a crucified cat in the chapel of his school plunges headmaster Augustus Braithwaite into a battle against forces, and worlds, he previously didn’t know existed. Augustus acquires an ally in Sharna, a young woman he rescued from execution in her own world, and they return to his school to confront the power head on. Only one of their enemies, teacher Edward Braine, horribly disfigured but still maliciously strong, survives. Together they track him across Ireland to a final confrontation on the island of Inishbofin. Born in Bradford England, David Toft gained a degree in Education before going on to work in London and Warwickshire. He now lives in South County Dublin, Ireland with his wife, Mary. 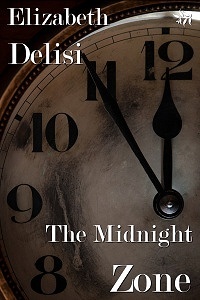 David has been writing adult fantasy and paranormal fiction for over twenty years. Tirgearr Publishing is a small independently-owned publishing company of adult genre fiction. We offer full-circle services, working with authors on a one-on-one basis to ensure each book we publish is of the highest quality. Using our expertise from nearly twenty years in the publishing business, we work side-by-side with our authors to develop effective marketing plans and promotional programs, advising on career choices and forward career planning, and assist in setting up the author's overall image. The discovery of a crucified cat in the chapel of his school plunges headmaster Augustus Braithwaite into a battle against forces, and worlds, he previously didn’t know existed. Augustus acquires an ally in Sharna, a young woman he rescued from execution in her own world, and they return to his school to confront the power head on. Log into David's page on Tirgearr Publishing for an excerpt. Visit David on Heart of Fiction to see where it all started.